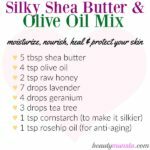 Delicious DIY Shea Butter Lip Balm Recipe Without Beeswax - beautymunsta - free natural beauty hacks and more! 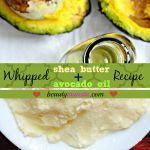 This shea butter lip balm recipe contains no oils, no beeswax and most importantly no chemicals! 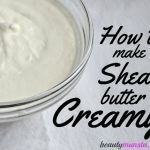 I’m in love with shea butter and almost all my homemade products have to contain this luxurious butter, including this delicious diy shea butter lip balm recipe! It’s perfect for healing dry chapped lips because of its intense hydrating properties since it contains rose water and raw honey, which is a natural humectant. You can use it to plump up your lips and make them look moisturized and glossy. Check out the ingredients used and their benefits! ➝ Raw Honey – Raw honey is a natural humectant, which means it absorbs water from the surroundings and locks moisture into dry skin. 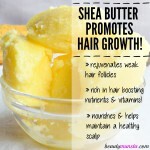 It is also rich in vitamins and minerals that have healing and nourishing properties. The powerful antioxidants in raw honey ward off free radicals and keep skin looking youthful. 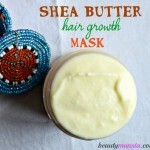 Raw honey moisturizes skin and it makes this shea butter lip balm delicious! ➝ Rose Water – Rose water is rich in vitamin C, which boosts collagen production and keep skin soft, smooth and supple. It’s also deeply hydrating and moisturizing and plumps up dry lips. It’s cooling and soothing properties calm inflamed, red and painful lips. ➝ Honeysuckle – While adding a natural flavor to this shea butter lip balm, honeysuckle also has amazing benefits to the skin! Just like rose water, it contains a lot of vitamin C and it also contains glycosides, polyphenols, tannins and catechins(that are also found in green tea by the way). Honeysuckle is known to be anti-inflammatory, anti-irritant, anti-oxidant, anti-fungal, antibacterial and antiviral. It also contains caffeic acid that may protect the skin & lips from sun burn. In this lip balm, it’ll heal dry lips, exfoliate peeling skin & dead cells as well as reduce redness. 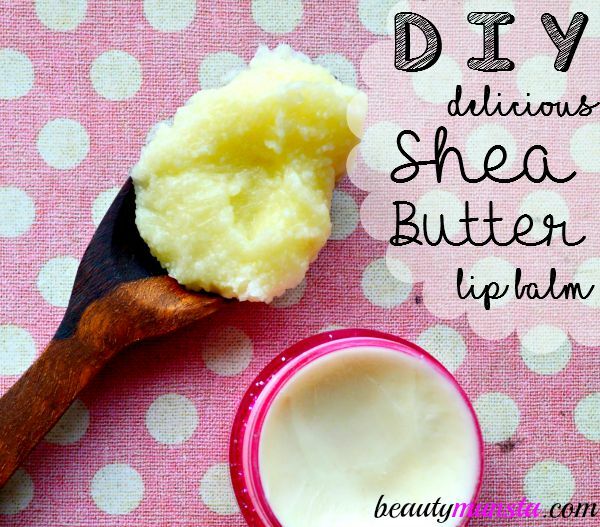 Make this delicious shea butter lip balm recipe – no beeswax, no oils and no chemicals! It will last more than 3 months! Place all your ingredients in a Magic Bullet or small blender and blend till well mixed. Add less/more honeysuckle extract according to your preference. However don’t add a lot – it’ll spoil the flavor. Transfer the mixture into 2 small lip balm containers. After 30 minutes, it will have hardened and set. Your delicious shea butter lip balm is ready! How easy was that! I made this over two months ago and it’s still fresh and good to use! As you can see, this shea butter lip balm is white in color because I didn’t add any color. However, you can use any natural coloring of your choice such as beetroot. Personally, using beetroot doesn’t seem to give my lips any pink tint whatsoever – it just gives the lip balm a nice color! I don’t know if I’m just not doing it right but that’s the reason I didn’t add any natural coloring. You could also use food color, red clay, etc. Add any other flavorings of your choice like peppermint or sweet orange! 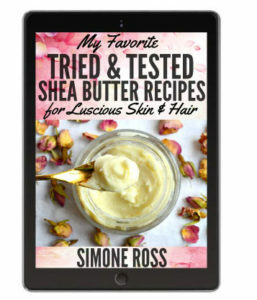 I used East shea butter/shea butter Nilotica, which is softer & less greasier than west shea butter plus I find its scent to be slightly nutty and pleasant. You can get it here. Substitute rose water with any other floral water.